Dukes Creek at the Raven Cliff Falls trailhead Chattahoochee National Forest. Dirt Road Wildflowers. 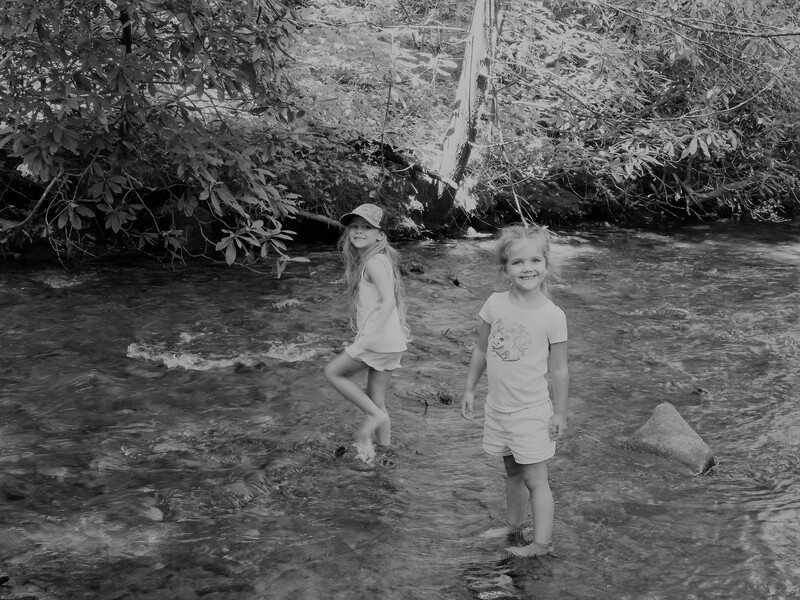 Barefoot in the Creek.